Have you been feeling lately that the beauty products you purchase from a store are only costing you are fortune and are not doing any real good. 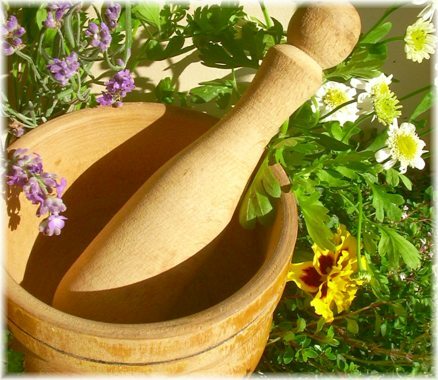 The best solution is to make your own beauty products using a few inexpensive herbal ingredients. 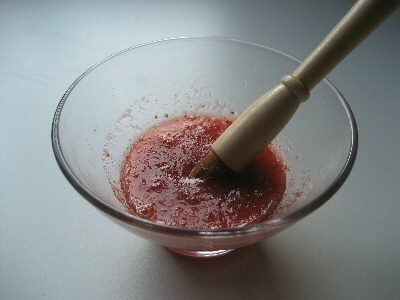 A facial scrub is one of the herbal beauty products you can make yourself. You will need bunches of goosegrass or cleavers, camomile, lavender and roses. Hang all these herbal ingredients until they are completely dry. Goosegrass is known for its cleansing properties, camomile make a great anti-inflammatory agent, lavender helps prevent germs from attacking your skin and roses add a moisturising touch to facial scrub. Ground all the ingredients to a fine powder using a mortar and pestle. 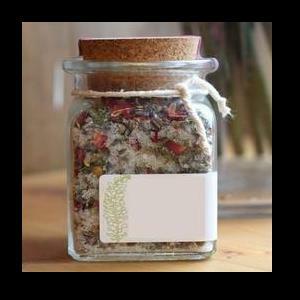 Store the powdered ingredients in an air tight jar. To prepare the herbal facial scrub for usage, make a paste by combining 2 tablespoons of the herbal ingredients, 1 tablespoon of oatmeal and 1 tablespoon of honey. Thoroughly mix these contents to make a uniform paste. Soak lavender, rosemary or thyme in base oil. When properly soaked, properly macerate the ingredient you are using to make an aromatic herbal bath soak. Another way to add aroma to the bath tub is to tie a muslin bag filled with lavender, rosemary or thyme under the spout of a tap. 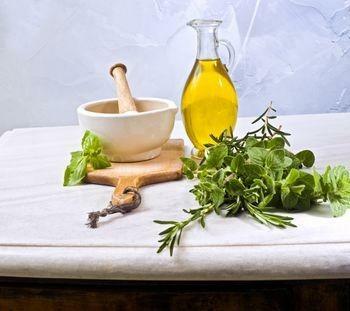 A homemade herbal oil is the best way to make your hair shine and to keep them healthy. Bring a pan full of water come to boil. Leave it boiling for a couple of minutes and then remove it from the stove. Add a bunch of rosemary in the hot water and let it stand for at least 15 minutes. 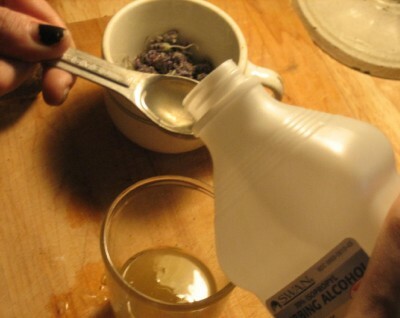 Strain the liquid and apply it to your hair when it cools down. If your hair is blonde, use camomile instead of rosemary. Hand cleansers are used multiple times every day. Ground 100 grams of almonds and 1 tablespoon brown sugar and mix them. Add five drops of lavender and enough olive oil to make a stiff paste. Use this paste to scrub your hands properly.